Welsh Cob Shop: Welcome to Welsh Cob Shop! Welcome to Welsh Cob Shop! Thank you for visiting Welsh Cob Shop! Hopefully you can find everything you need for your Welsh Pony or Cob! Welsh Cob Shop is focused on providing a high-quality service and customer satisfaction - we will do everything we can to meet your expectations. 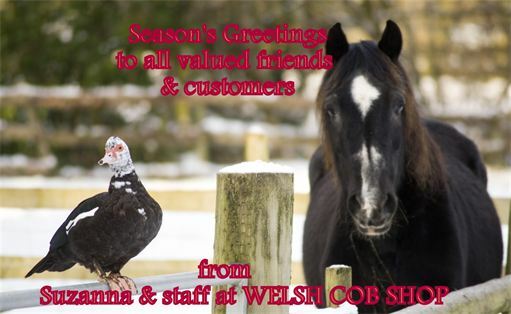 Please revisit Welsh Cob Shop - save it in your favourites! Check back later for new updates to the website. There's always much more still to come!